The sports cabriolet variant of the Horch 5 Liter – the Horch 853 – entered serial production in 1935. 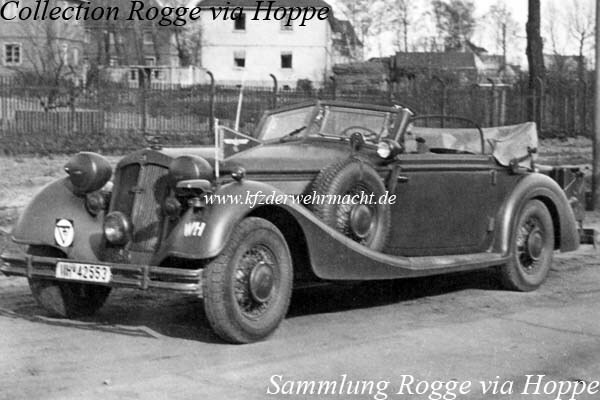 The slightly improved Horch 853 A was manufactured from 1938 to 1940. The electric arrangement as well as the transmission was changed. The direction indicator was embedded in the frame of the windshield on the Horch 853. Usually, the headlights of the Horch 853 were chromed and sometimes two additional fog lamps were fitted on both sides of the radiator. The road holding was quite moderate compared to the technical complexity of the design. 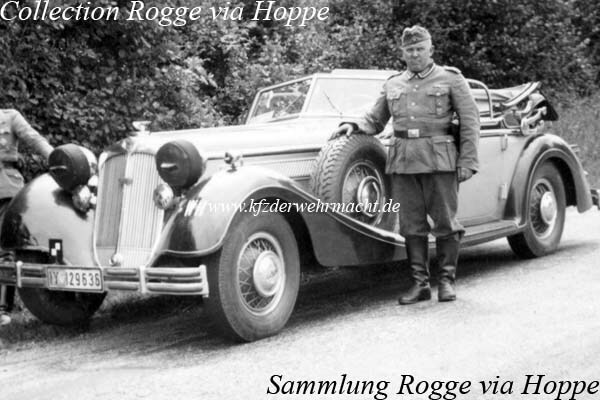 This Horch 853 was used by the commander of an Army. The direction indicators were fitted on both sides of the car body below the frame of the windshield on the Horch 853 A. Normally, only one fog lamp was fitted in the middle of the radiator. 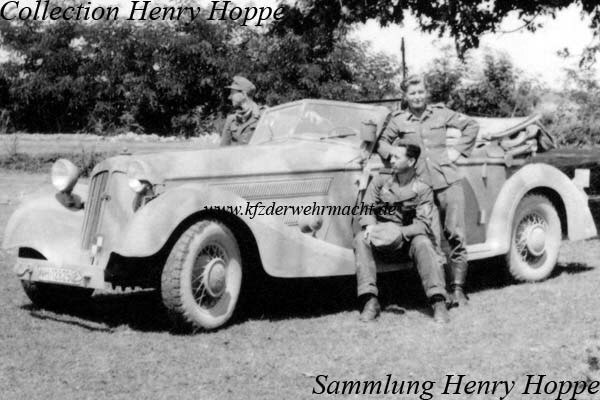 This Horch 853 A had a commander’s pennant and was most probably repainted in dark grey. The photo was made on 18th April 1941. 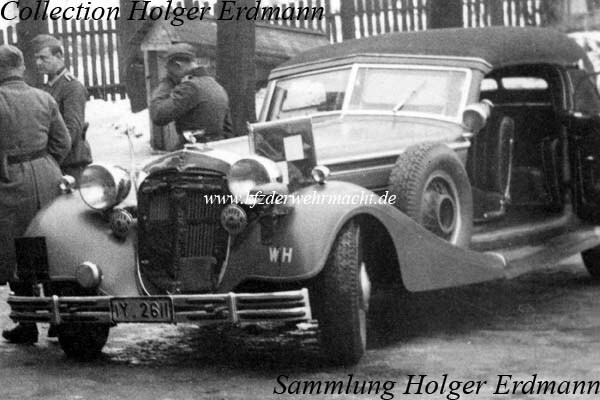 The Horch 853 / 853 A was mainly used as pure prestige car. For this reason, it was quite popular and was often used by higher officers of the Wehrmacht. This Horch 853 A had lost its civilian lacquer finish and was repainted in a three tone camouflage finish consisting of dark-yellow, olive- green and red-brown. Note the bumper which was similar to the bumpers seen on early Kübelwagen.